"In just a few years, the bulk of the laying hen industry is likely going cage-free," said Adhikari, who joined MSU in 2017. "We have to address questions that producers have about converting to cage-free production systems and bird health in a cage-free environment. 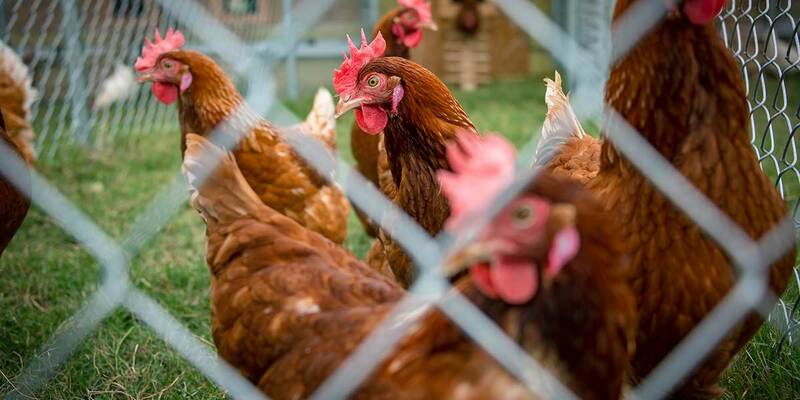 Hen health will be the major issue while converting the production system to cage-free, and this should be addressed by implementing several management and feeding strategies in the facility." Currently, less than 16 percent of eggs are produced in a cage-free production environment. To meet demand, approximately 70 percent of the nation's 320 million birds will need to be cage-free by 2025. Mary Beck, head and professor in MSU's Department of Poultry Science, said Adhikari is well positioned to contribute meaningful answers to questions poultry producers have about cage-free production systems. "Dr. Adhikari brings a fresh, new perspective and innovative ideas to this important area of research for one of Mississippi's most important agricultural commodities," Beck said. "I have wanted to build a cage-free facility since my arrival on campus, to better understand the differences in management between the cage and cage-free systems," Adhikari said. "For instance, hens in the cage-free system have access to both indoor and outdoor facilities. I want to look at how that impacts management practices." Daily, Adhikari's graduate student and her two student workers record how many birds move from inside the building to the outside as a part of a behavior study. They also collect and count the eggs, and check the feeders. "We plan on adjusting nutrition by supplementing these hens with different feed additives to see which additives produce a better egg quality," Adhikari said. MSU's Department of Poultry Science is one of only six degree-granting programs in the nation. Broilers is the largest Mississippi agricultural commodity with a value of $2.5 billion in production in 2017. For more information, visit www.poultry.msstate.edu.